Is Paris â€œa post-apocalyptic hellhole of public urination and litterâ€? It was 1am and we were just leaving dinner at a friendâ€™s house behind Montmartre. We were tired, but the taxi weâ€™d called for never appeared. So we headed down to the main road to try to hail a cab, along with a number of other stragglers now wishing, like us, theyâ€™d kept Metro hours. Within minutes, several men had urinated in plain sight very near to us; one had clambered up on a little raised platform with some shrubbery on it just to do so. Nearby, a woman yelled in French â€œYouâ€™re no better than beasts!â€ but the beasts took no heed. Faced with this scene, not a taxi in sight, we walked the three-and-a-bit miles back to our flat. This was Paris in 2016. Despite its extraordinary charms, the City of Light can also feel like an anarchic, post-apocalyptic hellhole â€“ people litter, spit and pee freely in the streets, as if the city were their personal lavatory, bin and ashtray combined. Ubiquitous dog poo only adds to the fun, while young women unlucky enough to be stuck trying to get home after hours will know that the loutish menace only intensifies with the incessant sexual harangues of the litterers and the fowlers. So what, the French might shrug? Câ€™est la vie, or at least, la vie parisienne. I confess that my 24-hour quick visit in Paris was a much more genteel an experience. The only public urination I witnessed was my own (joking! Though I confess to being unaccustomed to paid public toilets) and I did not experience any sexual harangues. Sadly, the beautiful French mademoiselles clearly didnâ€™t find me attractive enough. However, I also confess that my first overall reaction to Paris, which I communicated in a message to a friend, was â€œthe European capital of the Third Worldâ€. The moment I stepped off a train at Gare de Nord and made my way through a multilevel maze of the station down to the metro, I was surrounded by a pulsating mass of humanity that made Amsterdam or Berlin look like a monocultural Brisbane circa my arrival to Australia in the late 1980s. The noise, the bustle, the movement, the energy all around signalled to me I have indeed arrived in a world metropolis. 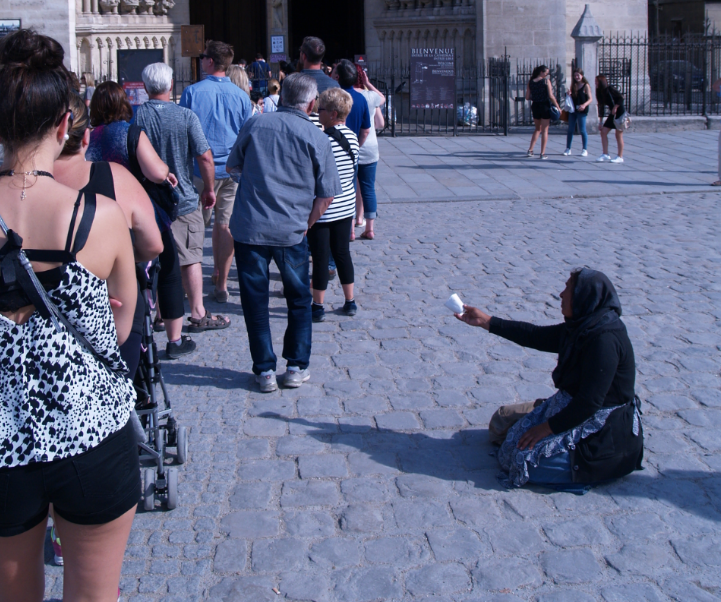 Yes, Paris is perhaps dirtier than many other Western cities, but it has always been thus, at least according to the more orderly, clean and sober Protestants of northern Europe. There arenâ€™t many big cities, which do not feel at least slightly menacing to a pedestrian at night (New Yorkâ€™s Manhattan is one exception I can think of from personal experience; the impression shared by many people I have spoken to). My night time walk was earlier than Zoeâ€™s and through the inner city, Seine-hugging 16th, 8th and 1st arrondissements, and I canâ€™t say I ever felt uncomfortable. Perhaps had I ventured further away from the tourist heart of the city, including to the outer, heavily migrant banlieues, which in the past have been scenes of riots and car torchings, I might have come out with a different set of experiences and souvenirs, but there was only so much time I had to spend in the City of Light. The main point of Zoeâ€™s story is the introduction on Monday of an 1800-strong â€œincivility brigadeâ€, uniformed and armed with batons and tear gas as well as a licence to heavily fine public urinators, litterers and other menace to order, hygiene and well-being of metropolitan commons. And that can only be applauded, in Paris and any other city. Without necessarily going to the Singaporean extremes of a canning for leaving chewing gum on the pavement, we all deserve to live in cities where we can enjoy life, human interaction and other pleasures and benefits of urban existence in as practicably safe, clean and civil a surrounding as possible in a crowded human environment. The â€œbroken windowsâ€ theory of criminology and public order is not without controversy, but even a modicum of common sense suggests that minor infractions like graffiti, panhandling, littering, urination, fare jumping, or harassing behaviour not only in and of themselves lower the quality of life and enjoyment for the great majority of law-abiding residents and visitors, but, if unchecked, they provide an invitation to a slippery slope of an ever worsening and ever more serious disorder. We cannot vacate our public spaces to the â€œbeastsâ€, hiding in the safety of our private castles behind closed doors and locked gates. Youâ€™ve heard that Paris is dirty and youâ€™ve heard that Paris is dangerous, a hotbed of terrorist plots. Donâ€™t let either scare you away from visiting. Not sharing in the bohemian sensibilities of generations of cultural and artistic pilgrims, I would not necessarily want to live here â€“ even if the language is far more beautiful and easier to learn than the Dutch or the German â€“ but I will be happy to return and savour more of the local light.